This Short-Term Guest Rental Agreement describes the relationship by and between Sun Valley Luxury Lodging, LLC (Property Manager) and (Guest), for this rental, located at _________________________________ (Property). Property Manager represents properties owned by others. We reserve the right to change accommodations if conditions beyond our control prevent the use of the property that was originally reserved. Furthermore, Guests shall hold Property Manager and property Owner harmless from any claims, causes of action or other liability for personal injury or death to Guest or invitee of Guest that are caused directly or indirectly from rental of said property. Guest must accept the terms and conditions below before deposit is paid and reservation is confirmed. ARRIVAL TIME IS 4 PM. Early arrival can be arranged if conditions permit. DEPARTURE TIME IS 10 AM. Property Manager charges an additional half-day rent for late departures. In the event the Guest extends this reservation or rents the same property in the future, full commission is due to Property Manager. Guests shall not sublet. Guest understands that a 25% hold deposit is required when the reservation is booked; the full balance is due 90 days prior to the reservation arrival date. Purchase of Security Deposit Insurance for $100 is required for rental of Property. This Security Deposit Protection plan covers unintentional damages to the rental unit interior that occur during your stay, provided they are disclosed to management prior to check-out. The policy will pay a maximum benefit of $5000.00. Any damages that exceed $5000.00 will be charged to the credit card on file. If, during your stay at one of our Rental Properties, an Insured Person causes any damage to real or personal property of the Property as a result of inadvertent acts or omissions, the Insurer will reimburse the Insured for the cost of repair or replacement of such property up to a maximum benefit of $5000.00. Certain terms and conditions apply. Full details of the Security Deposit Protection coverage are contained in the Certificate of Insurance or Insurance Policy. By submitting payment for this plan, you authorize and request CSA Travel Protection and Insurance Services to pay directly Sun Valley Luxury Lodging, LLC any amount payable under the terms and conditions of the Security Deposit Protection. You are a valued guest and we want to do everything possible to make your trip enjoyable and worry free. Because the unforeseen and unexpected can occur that may cause you to cancel, interrupt, or delay your trip we recommend CSAs Vacation Rental Insurance Plan. This insurance helps protect your vacation investment. The plan is optional but we strongly recommend it. 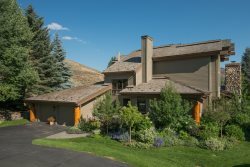 Please visit www.SunValleyLuxuryLodgings.com or call us at 1-888-767-8902 for more information. The Cancellation Period is 91 or more days prior to the reservation arrival date. Guest cancellations made for any reason 91 or more days from reservation arrival date will be refunded 100%. Guest cancellations made within 90 days of reservation arrival date will forfeit the entire payment. Within 90 days of reservation arrival date, changes made to a reservation that includes a reduction in the number of days stayed will forfeit the payment for those days. There are no refunds for early departure. This Agreement must be received (mail or fax) with the required signatures and monies owed according to the Agreement within 3 days or this Agreement will be cancelled. Guest agrees to supply a valid credit card number to Property Manager at the time they make a reservation. Property Manager will keep this number on record in the event that Guests incur extra charges during their stay. Guests acknowledge that damages, excessive cleaning needed due to misuse, long distance phone charges, requested special services, and late departure fees are Guests responsibility and will be charged to Guests credit card. If damage for which Guest is responsible exceeds the amount of any security deposit collected, or security deposit insurance coverage, Guest hereby authorizes Property Manager to charge Guest for such additional damage. Every Property is rented with a maximum allowed occupancy. Responsible Guest must be over 24 years old. Any usage by any large group gathering, including parties, weddings, receptions, etc, will incur additional charges, and must be approved in writing by Property Manager prior to Guest arrival. We respectfully request that you remember you are staying in someones home during your vacation. Guest is responsible for: keeping the Property safe and clean as property permits; disposal of all garbage and waste in a safe and clean manner; and not deliberately or negligently destroying, defacing, damaging or removing any part of the Property. Daily housekeeping is not included in most rentals, but is available at an extra charge. Housekeeping will clean the house after your departure. You will not be charged an excessive cleaning fee as long as the housekeepers are able to clean the home within 6 hours. Each additional hour after that will cost $35 per hour. Property Manager offers special cleanings or other services at Guests request. One weeks advance notice is preferred. Guests will be billed at $35 per hour for cleaning, minimum two hours. Concierge services are billed at $40 per hour, minimum one hour. Pets are not permitted at the Property. Smoking is not permitted on the Property premises including the outdoor deck. If this policy is disregarded, Guest will be charged a fee of $500 and will be immediately evicted from property. Property Manager strives to provide excellent service to all Guests; however there may be times when a building service such as an elevator or a utility service, such as cable, internet, telephone, power or gas, has a problem outside of our control. Also note that not all cell phone carriers have good reception in all areas of the valley. If Guest experiences a problem with any service, Property Manager will do its best to have the respective contractor look at and repair the problem as soon as possible, however non-usability of said service does not constitute a failure on the part of Property Manager, nor will a refund or compensation be issued if the service cannot be made available.